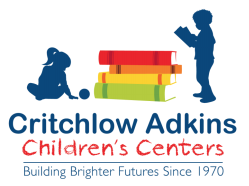 The Cordova School Site (CSS) of Critchlow Adkins Children’s Centers offers a year-round, full day preschool program, wrap around pre-kindergarten program, and before and after school programs for children in kindergarten through fifth grade. The program for school age children is offered all day during most school closings and the summer months. All programs operate from 6:45 a.m.-5:30 p.m.
CSS is accredited by the Maryland State Department of Education’s (MSDE) Early Learning Division and licensed by MSDE’s Office of Child Care. Our teachers work diligently to implement a comprehensive, age-appropriate curriculum that builds physical and cognitive skills as well as social and emotional development. The curriculum used (Houghton-Mifflin) for children ages 2-4 is theme based and features 10 main themes integrating math, science, social studies, language and literacy, the arts, social/emotional and physical development. An assessment tool is also used in conjunction with this curriculum to gauge each student’s level of school readiness, which is an initiative developed by the state department of education call the Maryland Model for School Readiness. The teacher to child ratio is 1:10. This is a wrap around program that provides enrichment to children who attend half day Pre-K at Chapel District Elementary School. Our teachers use the same theme based Houghton-Mifflin curriculum, but it is used to enhance what is already being taught in the public school classroom. The afternoon program also involves a quiet/nap time as well as outdoor activities and a nutritious snack. Fun-filled days of swimming lessons, arts & crafts projects, outdoor play, center play, cooking projects and field trips describes the CSS summer program.